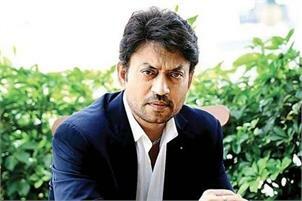 Mumbai, Irrfan Khan on Monday said he is happy to be back on a film set and is excited to tell the audience another story. Irrfan, who is making comeback to the movies with “Angrezi Medium” after recovering from neuroendocrine tumour, will be playing a sweet shop owner in the film, a sequel to his 2017 hit “Hindi Medium”. The actor shared a picture from the set of the movie, which is currently being shot in Udaipur, Rajasthan. “GMB (Ghasiteram Mishthan Bhandar) serving since 1900s . It’s going to be fun to tell another story #AngreziMedium,” Irrfan captioned the picture. In the photo, the 52-year-old actor can be seen dressed up as his character Champak. According to the synopsis, Irrfan and Deepak Dobriyal will play brothers in the film who have inherited a 100-year-old sweet business and are also rivals. A distant cousin, played by Manu Rishi, who owns the biggest sweet shop also adds to the rivalry within the family. The film features Radhika Madan as Irrfan’s daughter and talks are on for another leading lady. “Angrezi Medium” is directed by Homi Adjania and produced by Dinesh Vijan.